And here’s a disclaimer: I don’t think this is the be-all and end-all. My resuscitation is a work in progress, both in terms of new fluids coming up, and in terms of identifying subgroups or individuals who would benefit from a different approach, so I’m definitely eager to hear from anyone who does things differently – but physiologically! 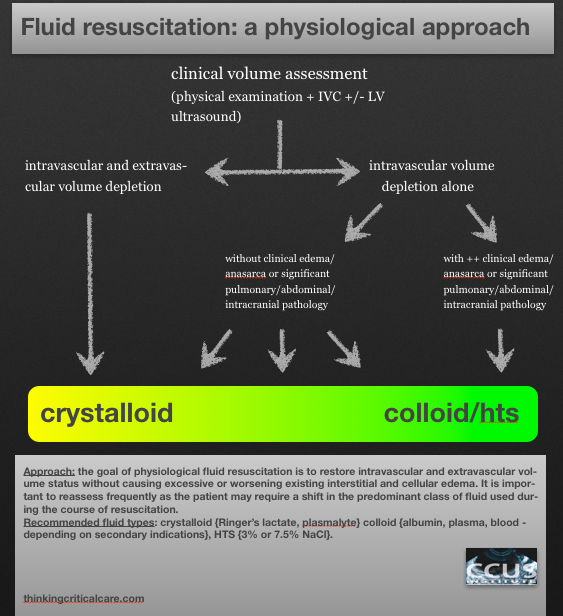 Please see Dr. John Myburgh’s excellent review on fluid resus in NEJM sep 26th issue! Oh and here’s the diagram!